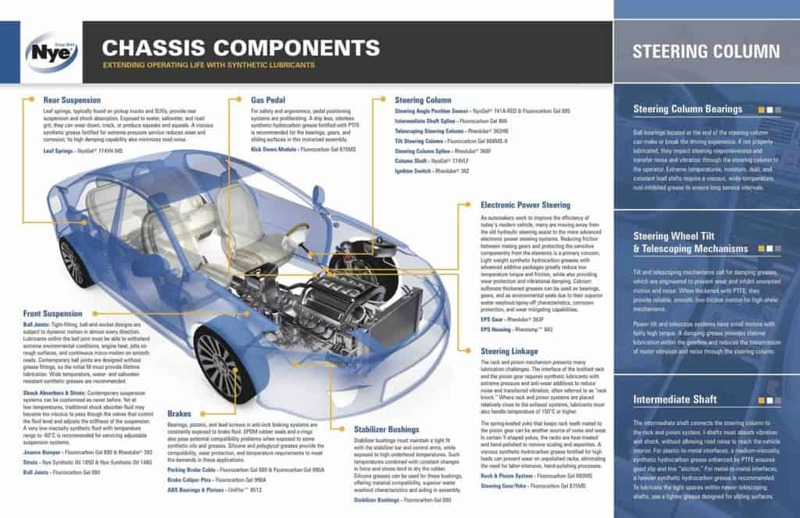 On this page we highlight some of what we’ve learned about the lubrication of steering and suspension systems – knowledge that comes from working with OEMs and world-class Tier One suppliers. What we’ve learned about the lubrication of powertrain and under-bonnet components – knowledge that comes from working with OEMs and world-class Tier One suppliers. 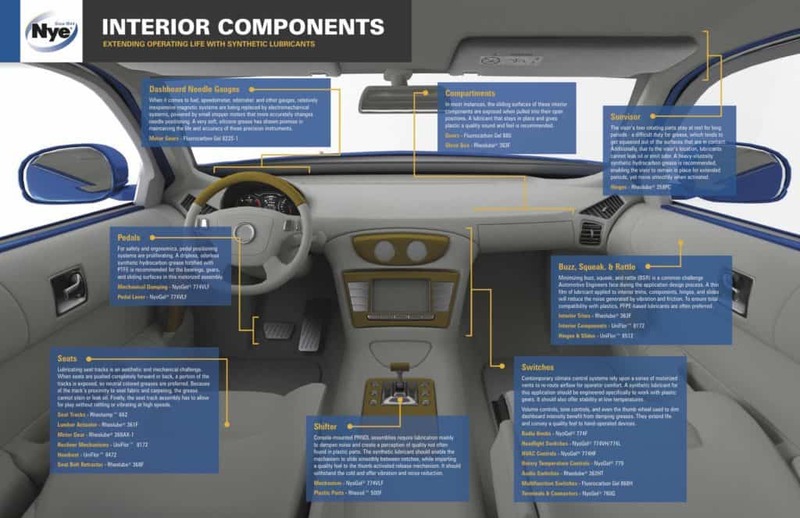 On this page we highlight some of what we’ve learned about the lubrication of automotive interiors – knowledge that comes from working with OEMs and world-class Tier One suppliers. Looking for products to prevent automotive squeaks and rattles? (plastic on plastic, leather on plastic etc) Take a look at our Squeaks & Rattles page. 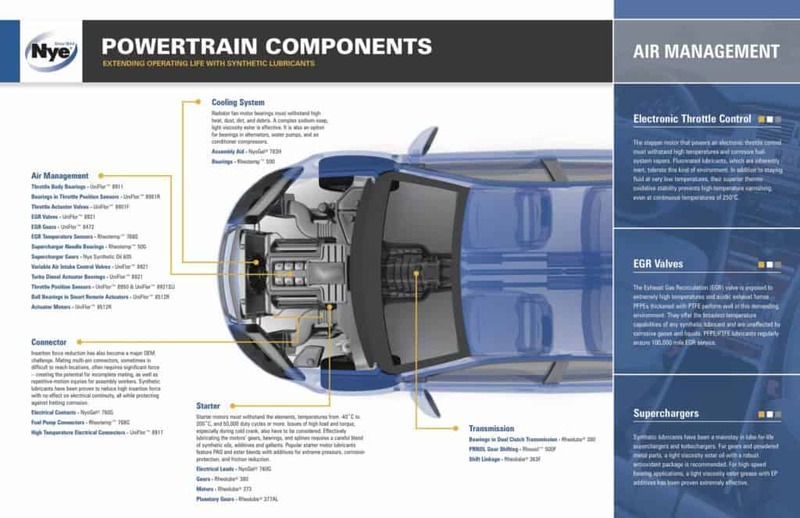 On this page we highlight some of what we’ve learned about the lubrication of automotive electrical components – knowledge that comes from working with OEMs and world-class Tier One suppliers. 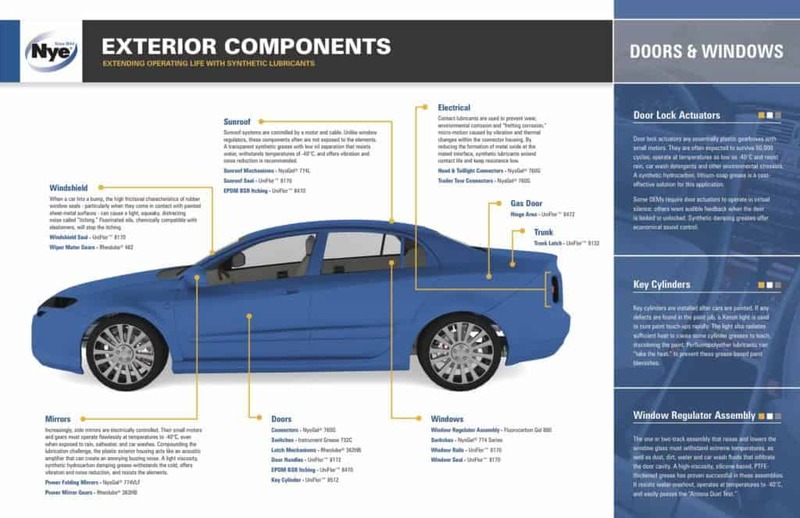 We offer cutting edge solutions to overcome difficult automotive interior trim noise problems resulting from a variety of material combinations.